How easy is it to create your own light? People have been improvising bits of camera equipment since the advent of photography. Indeed, it’s how some big brands of today, such as Profoto, claim to have got started. It might seem daunting trying to start a new venture — especially when many of the established photo brands seem to be struggling or merging with each other — but with the help of “crowd-funding” sites such as Kickstarter and Indiegogo, small startups and independent inventors have been able to bring their ideas to market. The latest is the LED Light Cube, which claims to represent the “next lighting revolution”. Here are some other photo accessories that sought community funding, with mixed results. Have a look and let us know what you think of them. 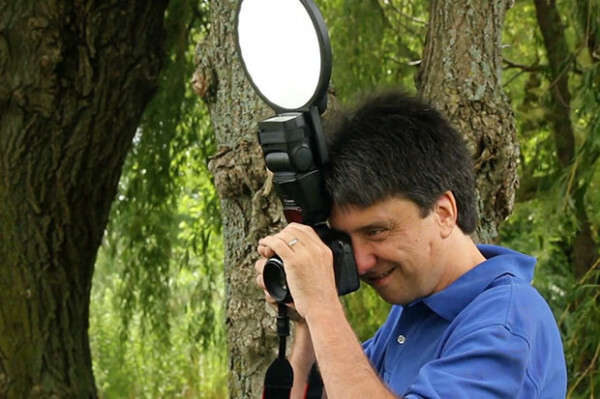 An oddly-named pop-up flash diffuser for DSLR cameras. 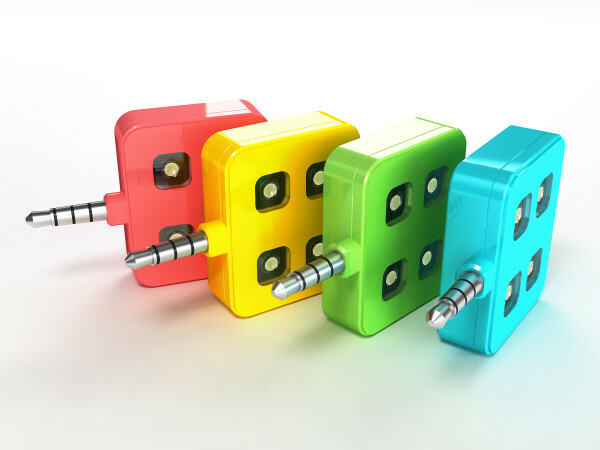 Back in 2011, when Kickstarter was only two years old, Dan Naramor from Texas managed to gain the support of 153 backers for this simple accessory. His family’s company sells a range of similar products across the USA. 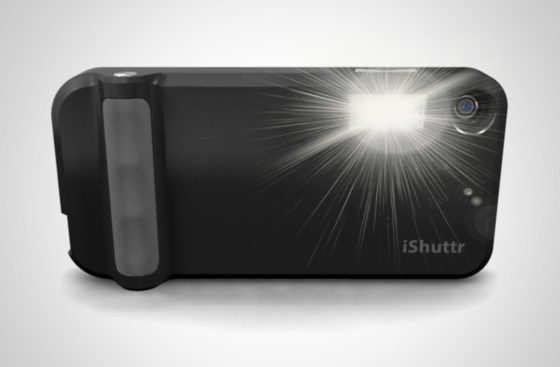 Nowadays the iShuttr concept might be compared to the real-life Nokia Lumia 1020, thanks to its extra grip, external shutter buttons and “proper” xenon flash. But in 2011 it was seemingly ahead of its time, with backers only pledging $6,991 of the $50,000 target. A plastic tube-shaped flash diffuser made in the USA. Despite running an unsuccessful Kickstarter campaign in May 2012, FlashPipe Inc. decided to shift the goalposts the following month and achieved crowd funding while raising the same amount in pledges: just over $8,000. The FlashPipe now retails for $24.95. 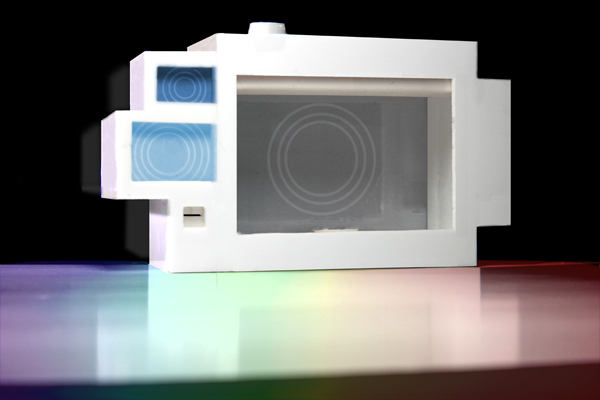 The Rift Labs Kick is a RGB LED panel that has advanced colour and intensity remote control via an iPhone app. Rift Labs surpassed their ambitious $115k target and now sell the gadget for $179 on their web site. Lighting Rumours’ Robbert Dijkstra gave the Kick Light the full review treatment and had mixed feelings about the product, concluding: “I love the possibilities, but hate first-generation bugs”. An open-source, WiFi-controlled “ultra bright” LED lamp. 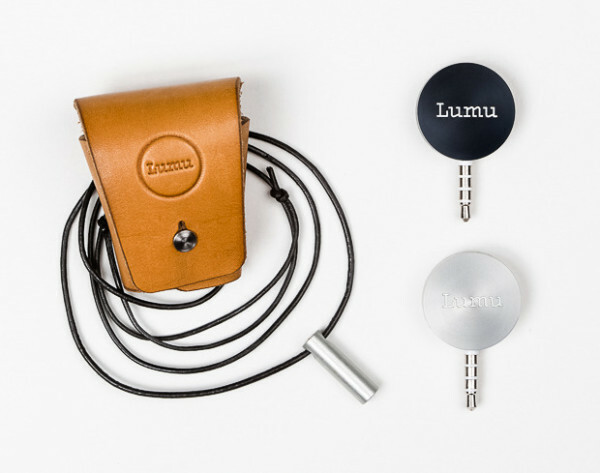 The Lumapad is a broadly similar concept to the Kick, but has been done differently. The emphasis is more on raw output, Arduino control and professional applications, over the iPhone gadget niche that the Kick took. It is the brainchild of Richard Haberkern, a Californian inventor. Seeking $28k in funding, the Kickstarter project exceeded its target by several times. On 18th August 2013, Lumapads were “starting to ship“. 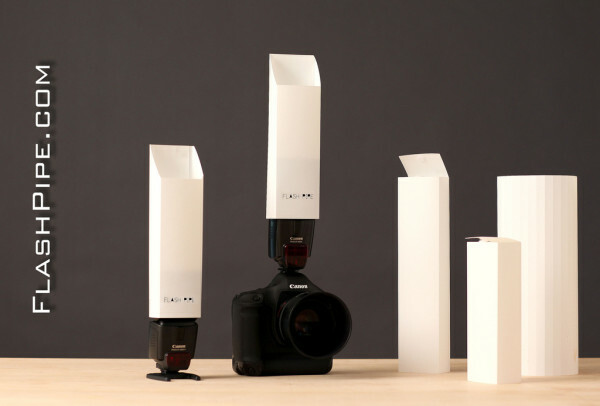 A modular, colour-changing LED light stick for photographers. 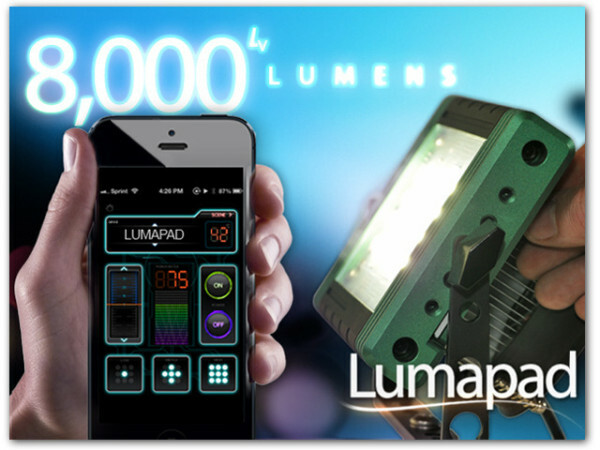 Louisiana LED presented the Lumenator in February of this year, but made a bit of a hash of communicating their product to the public and ended up raising only $18,214 of their $60,000 funding goal. However, the device could be coming to market anyway. “We have an avenue that opened up for the product that will allow us to proceed with production not just for the photography/videography industry,” LA LED operations director Eli Konieczka told Lighting Rumours. This Lumenator is a round LED light that doubles up a flash bounce card, similar in some respects to something made by Dot Line Corp.
Confusingly, it has no relation to the Lumenator unsuccessfully Kickstarted by LA LED. Made by family firm ColorRight, it’s already changed its name once from LightRight (which was taken) but might not be the last time if LA LED were to dispute it. At the time of writing, the Indiegogo campaign has already met its goal with a comfortable $15k of extra pledges and time to spare. 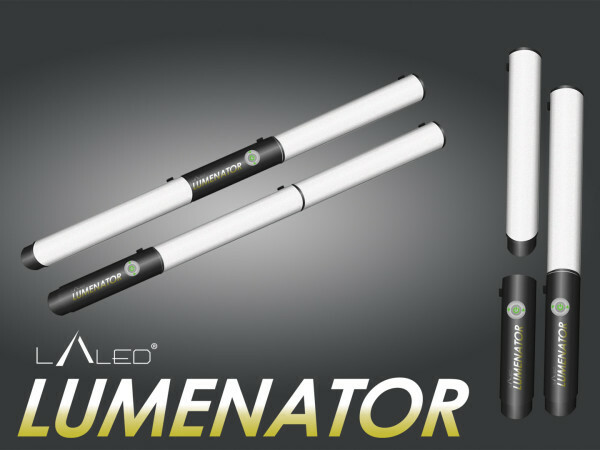 The Lumenator’s listed 3,000 lumens are brighter than the Westcott Ice Light at fraction of the price, the manufacturer says. 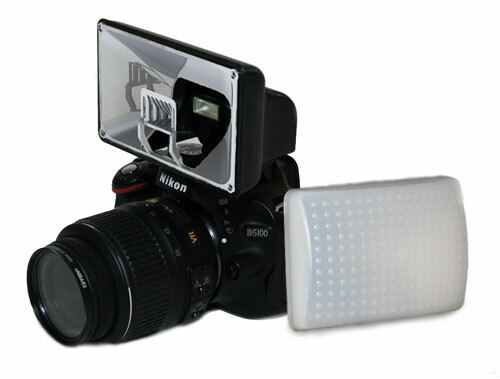 An attachment that changes a flashgun’s light output to any colour you want. The Rainbow Flash Wizard makes a normal speedlight into a colour-selectable light source à la the Rift Kick. No more need for colour correction gels? Dan Seitz of gadgetreview.com called it “something that every photographer actually needs” but apparently the community disagreed because the project hit its deadline with less than 10% of the goal. Bonus points should be awarded for the epic product name, though. An iPhone attachment that turns the handset’s front or rear-facing camera into an incident light meter. 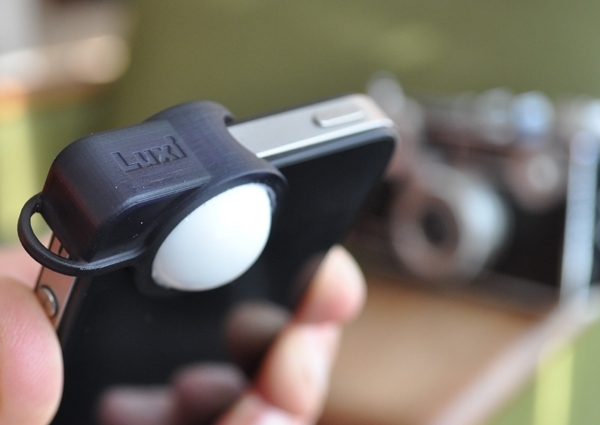 Earlier this year, the makers of Luxi sought just $10,000 from community backers, but by the end of its Kickstarter campaign had raised a cool $120k. Today, after some delays, the company announced that all crowd-funded units had been shipped to backers. The Californian developer, Extrasensory Devices, lists the Luxi for iPhone 4, 4S and 5 as available to the public for $29.95 a pop. Another smartphone light meter, this one has its own electronics and connects via an iPhone or Android device’s headphone socket. Their latest bromide-infused update says the firm is “slowly… getting ready” to start production. 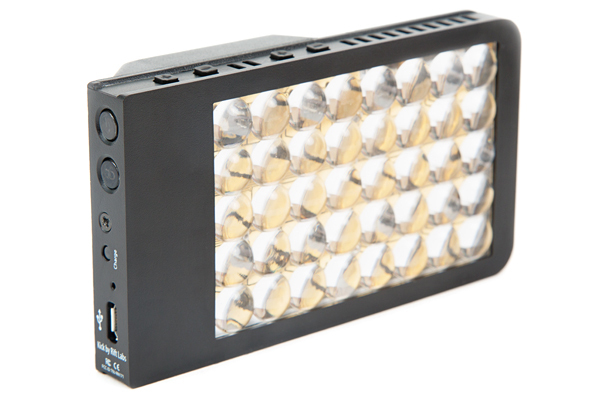 A plug-in LED flash for smartphone and tablet cameras. Like the Lumu, the iblazr plugs into a phone or tablet’s headphone jack, but this time it’s emitting light rather than detecting it. Such light sources have been done before in the Pocket Spotlight, but this time it’s much more advanced, with app-driven power control and other goodies. It has already demolished its target, raising over $125,000 before the deadline. A camera case for the iPhone 5 with a new sensor and lens. 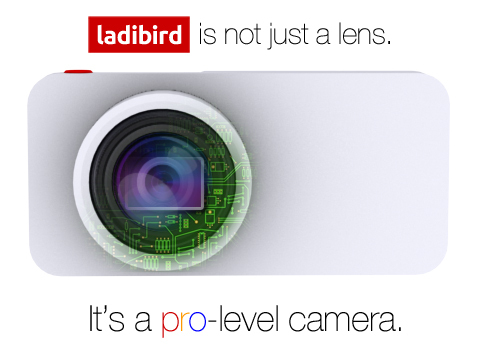 The ladibird looks on target to meet its Indiegogo funding deadline in September. (Update 31/08/13: it has done). By entirely supplanting the iPhone 5’s entire camera with a larger CMOS chip and “50mm f/1.8” lens, it might vastly improve the handset’s photographic capabilities. But the case also blocks the phone’s LED and doesn’t provide a flash or light of its own, which might make it difficult to take some of the artificially-lit example shots the Singapore-based developers present on their campaign page. So why include it in this list? Because they say they are “looking into building a flash system” and “more details will be revealed in future”. Tenuous, I know. But with the ladibird priced just $167 for “Middle Bird” backers, hopefully it gets a tad more support than the likes of Will.i.am’s insane foto.sosho.